Welcome to Grade One! I am thrilled to be teaching Grade One this upcoming school year. We are going to have a busy and exciting year, filled with a variety of meaningful and challenging learning opportunities. My name is Miss Hambidge and I am so excited to be teaching Grade 1 with the Airdrie Christian Program at R.J Hawkey this year. This is my third year teaching in the Airdrie Christian Program. Prior to my Bachelor of Education, I completed an undergraduate degree in International Politics and English. I was born in the small town of Bonnyville, Alberta and have now lived in Calgary for over 20 years. I enjoy being outdoors and I love hiking in the mountains. I love to travel to different places and have now been to over 30 countries! I am looking forward to teaching and learning alongside the students and staff at R. J Hawkey Elementary School and I know we will have a fun year! I look forward to supporting and working alongside you and your child in Grade One. I believe that all students can be successful, and I commit to caring for your child and always striving to make learning interesting and engaging. My goal is to foster a supportive classroom where each student feels safe, valued, encouraged and appropriately challenged. 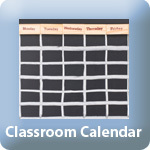 I will be sending home a monthly newsletter at the beginning of each month to keep you up to date on important dates, classroom information, and the learning that is going on in our classroom. I am a strong believer in open communication with parents. Please do not hesitate to contact me with any questions or concerns. On this same note, I will contact you to express the celebrations of your child and any concerns that might arise. Please do not hesitate to contact me with your questions or concerns. You may contact me by writing a note in the agenda, sending an email to rhambidge@rockyview.ab.ca or please feel free to contact me at the school at 403-948-3939.